I cannot believe it's already time to share what's in Novembers Glossybox* and that it's nearly Christmas! I saw a sneak peak of this months box and was so excited to see a sample of Burberry Body perfume which I've wanted for ages. As you can see I didn't get that in my box which I was pretty disappointed about. I think it's a really good box but that did put a dampener on it. Alison Claire Mango Body Butter - This is probably my favourite item in my box and has spent the past week in my handbag so I can apply it on my dry elbows throughout the day. It smells amazing, exactly like mango, but somehow reminds me of chewits. Although I have a lot of body moisturisers I think I'll have to buy the full size once I finish this. Dermalogica Daily Microfoliant - This looks like an interesting product but I don't know if I'll actually use it. I have very sensitive skin so I tend to stay away from exfoliants and stick with a muslin cloth. 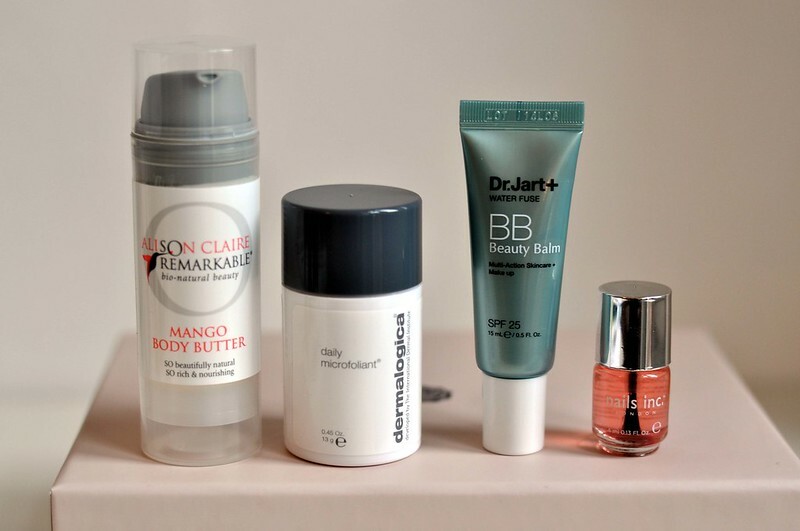 Dr Jart+ Water Infuse BB Beauty Balm - I was very excited to see this in the box as I've wanted to try one of the Dr Jart beauty balms ever since they launched here in the UK. It looks a pretty good colour even though I have very pale skin. Nails Inc Caviar Top Coat - This is such a cute little bottle of polish and another one that's been on my to-buy list for a while. A great way to try it out before buying the full sized bottle. I've only used it once but so far so good. 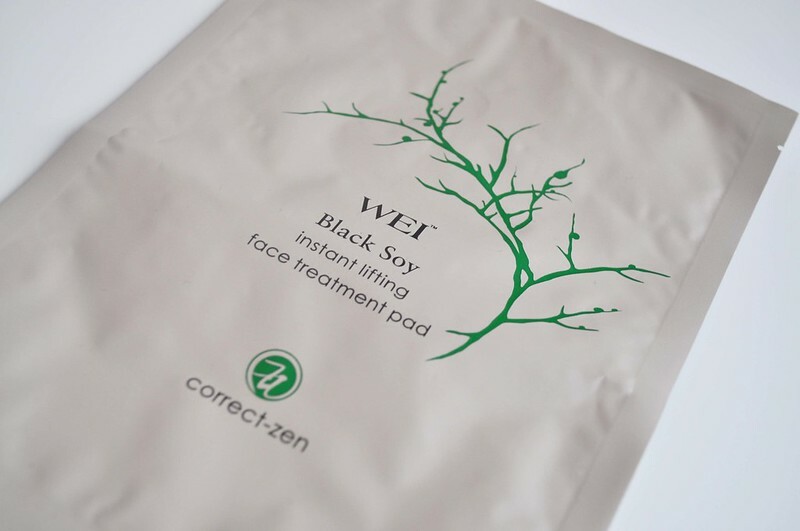 Wei Black Soy Instant Lifting Face Treatment Pad - This is the product that replaced the Burberry perfume and in my opinion just isn't the same. I'd much rather take a perfume over a face mask! Still interested in trying this though.